From the State College of Washington's yearbook of 1912. 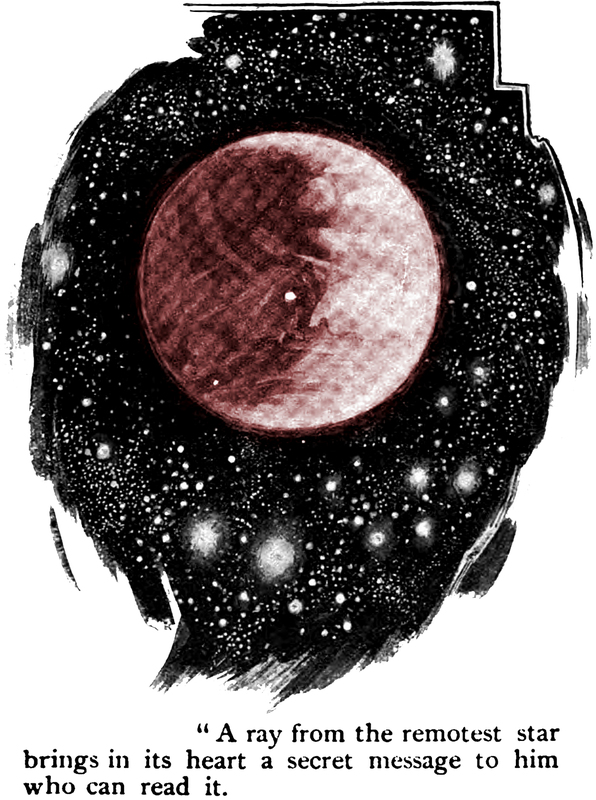 "A ray from the remotest star brings in its heart a secret message to him who can read it," from "A Message from Mars by J. Munroe, in Cassell's, 1895. 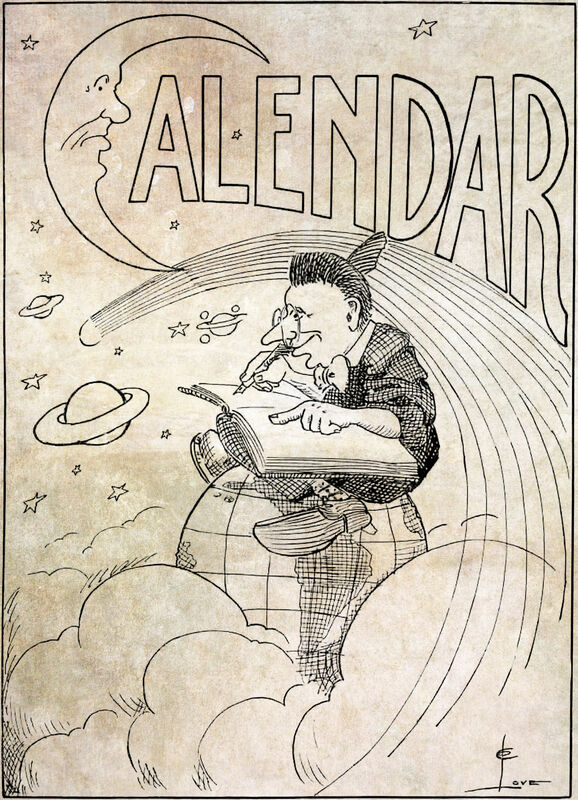 "No thoughtful person, looking over yon spangled heaven with astrologic eye, but must see that we are living in peculiar times, and that every returning day is fraught with importance." From The Royal Kalendar by Francis Moore, 1853. 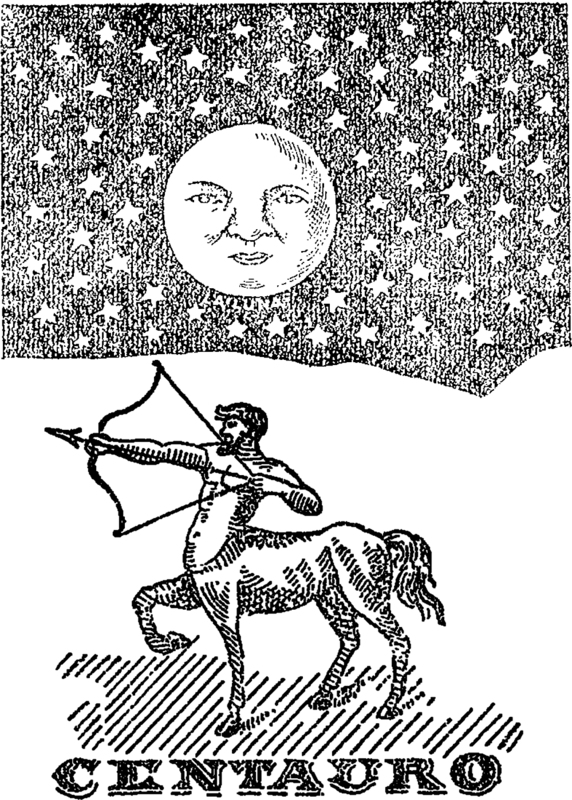 Here's a centaur from Boletín Oficial de la República Argentina, 1906. "The Uranologia of Mr. Bartley ... 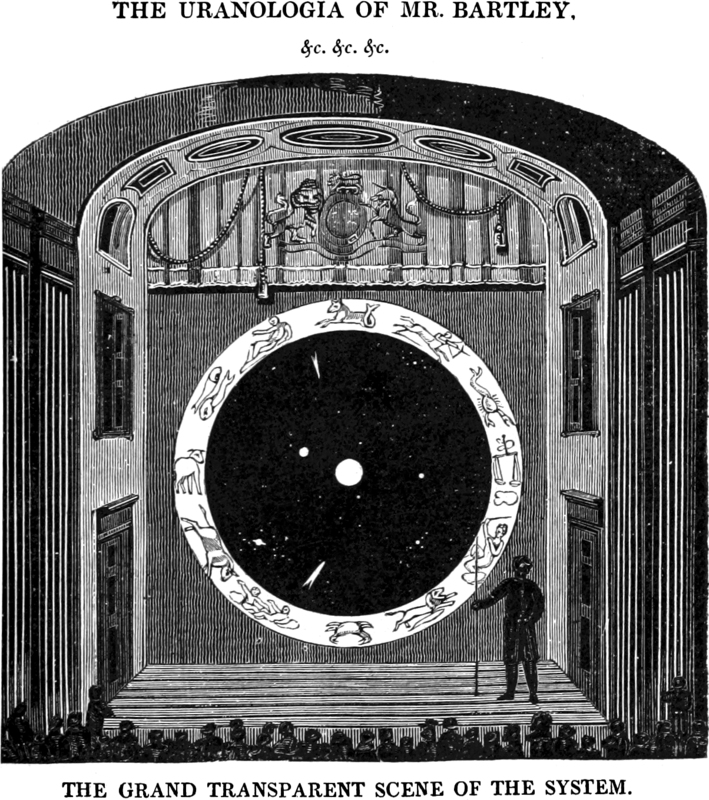 The grand transparent scene of the system." From London Lions for Country Cousins by Horace Wellbeloved, 1826. 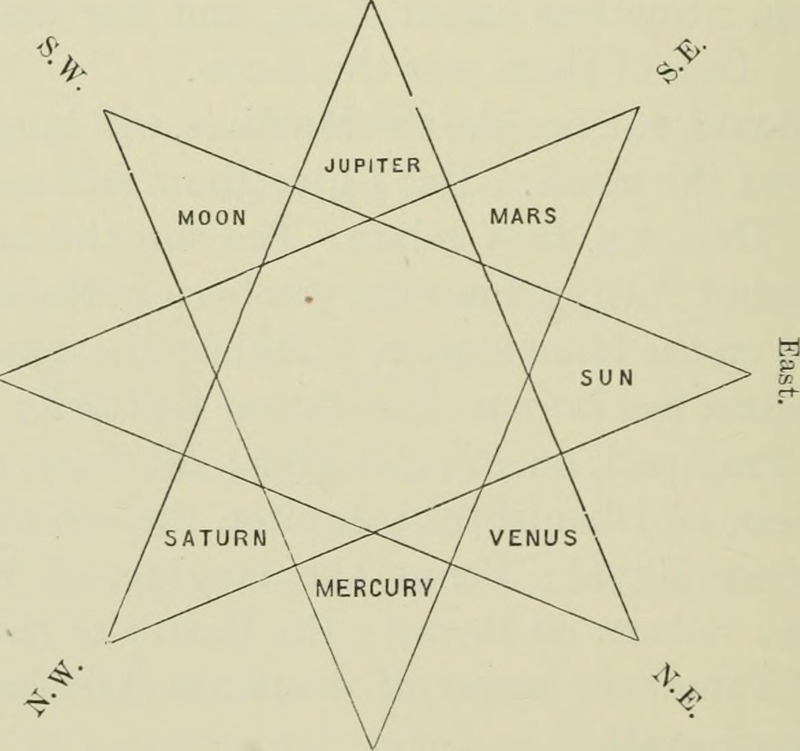 From an Oxford University Press ad, 1912. "Beautiful stars! In other days, / the prophets' eyes might read your rays; / and tell of many a strange event, / of warfare, and of warning sent." 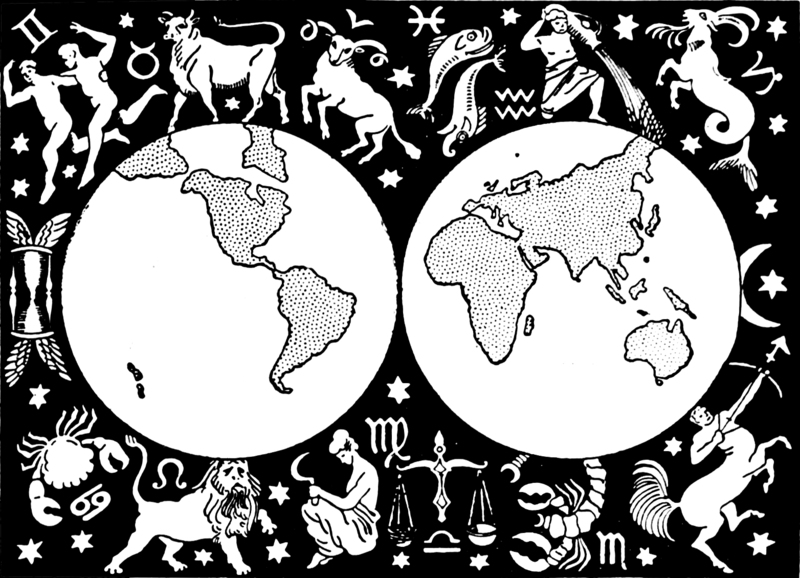 From The Astrologer of the Nineteeth Century by Merlinus Anglicus Junior, 1825. 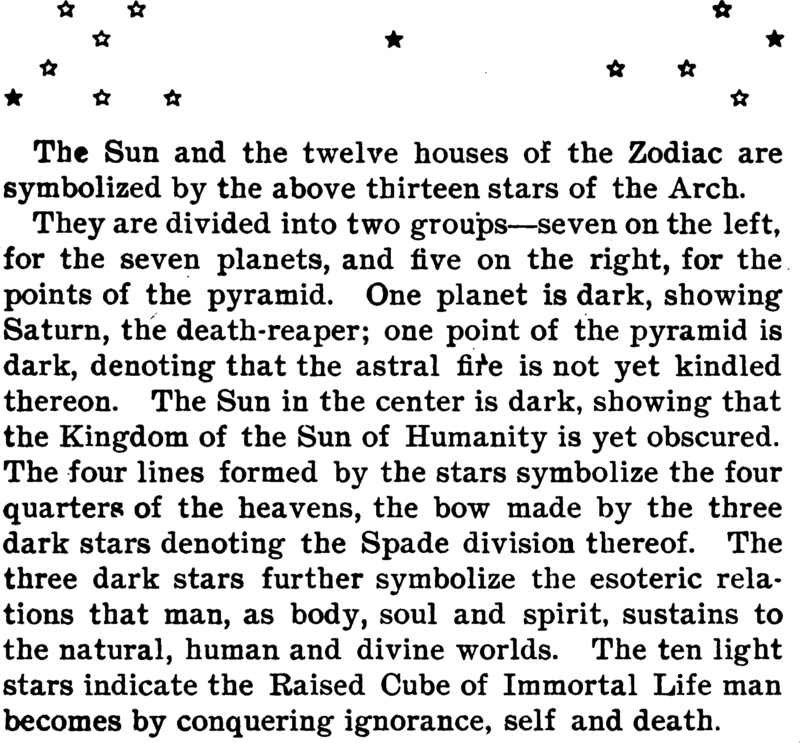 From Alberuni's India by Muhammad ibn Ahmad Biruni, 1910. 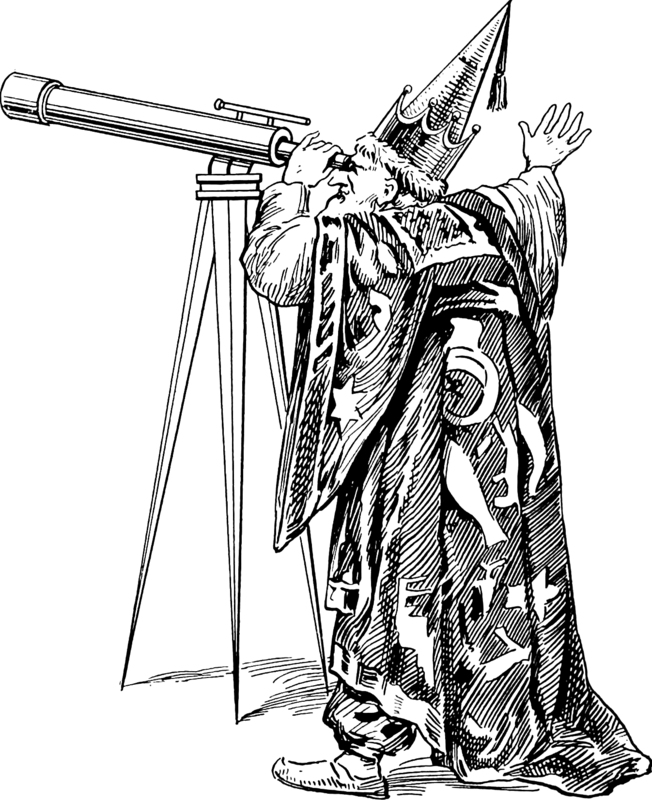 Here's a starry-eyed wizard from an ad in Canadian Grocer, 1910. Also very much of interest: The Young Wizard's Hexopedia. 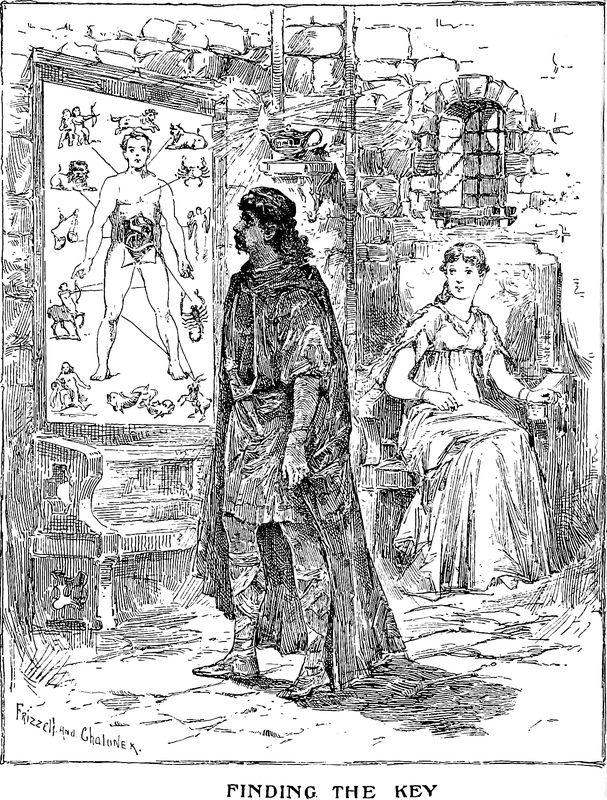 "Finding the key," from A Daughter of the Druids by Alice Kimball Hopkins, 1892. 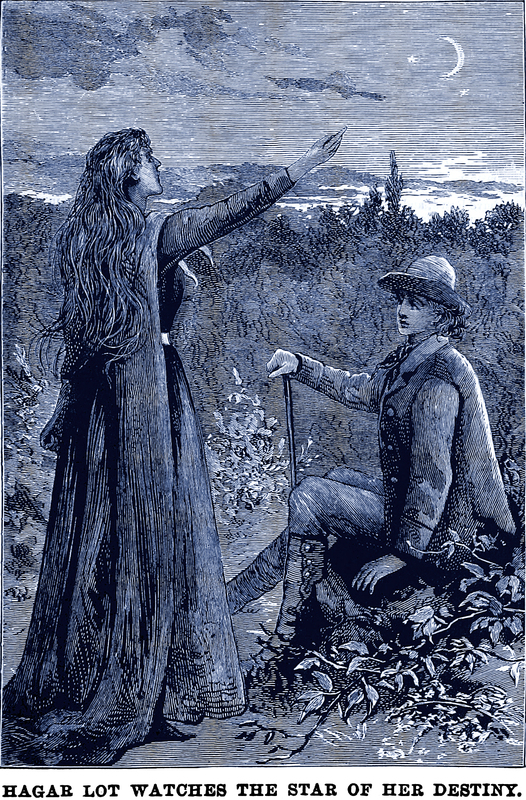 Watching the star of her destiny, from The Poor Girl by Pierce Egan the Younger, 1890. 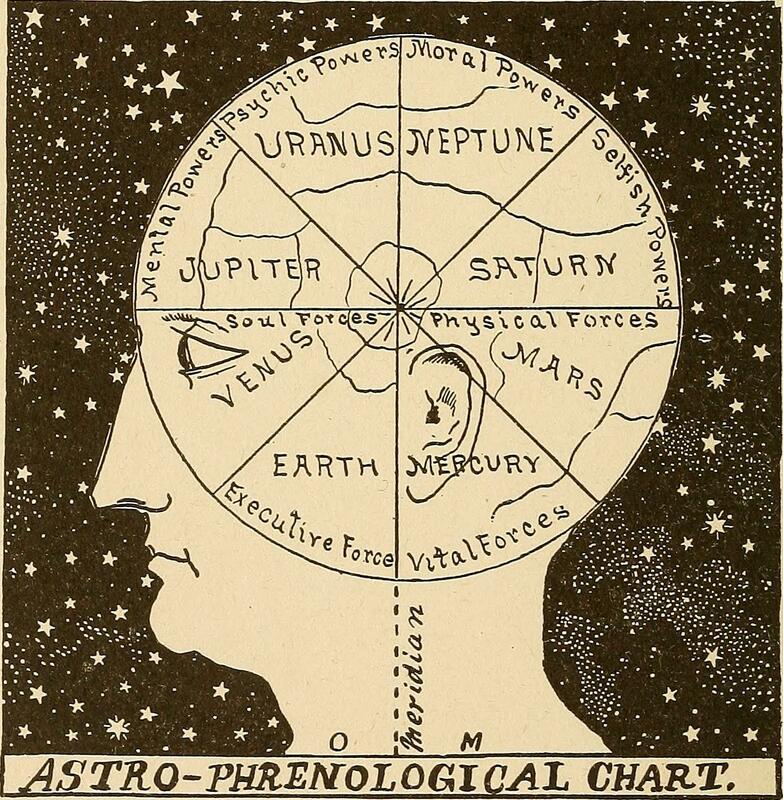 Here's an Astro-Phrenological chart from The mystic test book; or, The magic of the cards. 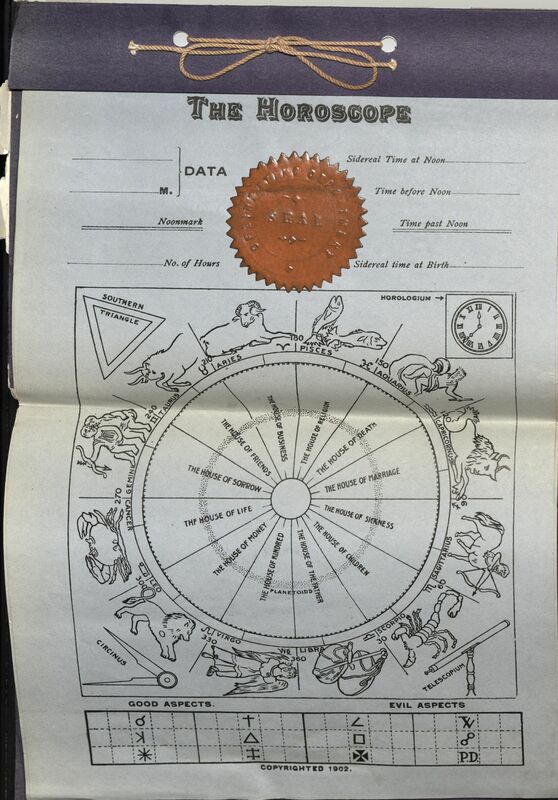 Giving the mystic meaning of these wonderful and ancient emblems in their relationship to the heavenly bodies, under all conditions; with rules and processes for reading or delineating the emblems by Olney H. Richmond, 1919.